For the last 13 years, the Sunday Million on PokerStars has been a permanent fixture on online poker players’ schedules, the frequent focus of the Sunday “grind.” This Sunday will be no different, with tens of thousands of players taking part in the 13th Anniversary Sunday Million. There’s a $10 million guarantee for the $215 buy-in event, with the first prize also guaranteed to be at least $1 million. Play begins at Sunday, April 14 at 13:00 ET, with late registration (and the option to re-enter up to three times) available for just over five hours until 18:05 ET. Counting the most recent Sunday Million won by ”Matze 90451,” the “Milly” has run 614 times on PokerStars over the last 13 years, with more than 4.8 million entries (no shinola)! For many online poker players, a big score or victory in the Sunday Million has provided a career highlight. The tournament has given us a lot of memorable moments as well, as shown by the following look back through the Sunday Million timeline. PokerStars had been up and running about four-and-a-half years when the first Sunday Million took place, with 5,893 players joining the $215 buy-in event to build a prize pool of $1,178,600. The first player to win a Sunday Million had a username that also comes first in an alphabetically-arranged list of winners — “aaaaaaaa”, who after just over eight hours of play won the last hand to claim a $173,843.50 first prize. The first few big Sunday tournaments weren’t technically called the “Sunday Million.” That label didn’t appear in the PokerStars lobby until late June 2006 for a $1,050 buy-in version of the event, won by ”FlopSpanker” who took away a $262,151.50 first prize. Occasionally during the first couple of years of the SM, the buy-in was boosted either $530 or $1,050, the last time being late 2008. PokerStars marked the first year of Sunday Millions with an anniversary event, upping the guarantee to $1.5 million. The field for the first SM anniversary event was 10,508 strong, pushing the prize pool up over $2.1 millIon — another first for the SM to crack $2M. Of the more than 1,300 cashers, winner ”Zeddor” seized the largest prize of $271,106.40. In 2008, Danish pro Jesper Hougaard became the first poker player to win bracelets at both the World Series of Poker and at the World Series of Poker Europe, accomplishing the feat by winning no-limit hold’em events in Vegas and then again in London that same year. 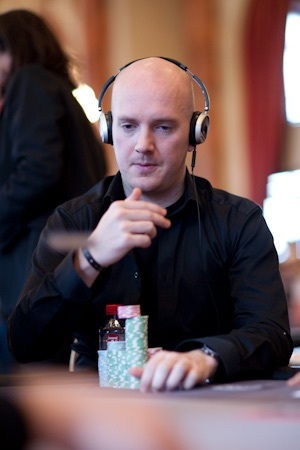 Soon after that Hougaard earned another landmark double when while playing as ”KipsterDK” on PokerStars he became the first player to win the Sunday Million twice — initially in late April 2008, then again in May 2009. “I had experience being in the situation,” Hougaard told PokerStars Blog afterwards while describing reaching the Sunday Million final table a second time. And that experience paid off in a big way. Since then the “two-timer” club has swelled to 16 players — with one other player having since exceeded that feat (see below). Throughout its history the SM has always featured at least a seven-figure guarantee, though for a time the guarantee was upped to $1.5 million, and was even $2M and $2.5M on occasion. Those increased guarantees helped create record-breaking fields for the Sunday Million, such as on January 10, 2010 when 19,377 played to create a $3,875,400 prize pool, with ”OX45AL” winning a then-record first prize of $550,011.29. The first really big SM anniversary event was to mark four years’ worth of Millys. For the 4th Anniversary the tournament sported a $4M guarantee, but when 36,169 participated the prize pool rose to a whopping $7,233,800. The appropriately-named ”RichieRichZH” won that one, earning a first-ever seven-figure SM first prize of $1,141,510.31. Those records lasted a year, then came the Sunday Million 5th Anniversary event that drew 59,128 players (!) to create a $11,825,600 prize pool (!!). A big nine-way chop in the end meant the biggest cash prize of $844,209.87 went to third-place finisher ”wrzr123”. Meanwhile winner Luke “Bdbeatslayer” Vrabel earned both a $671K payday and a Lamborghini Gallardo for his effort. 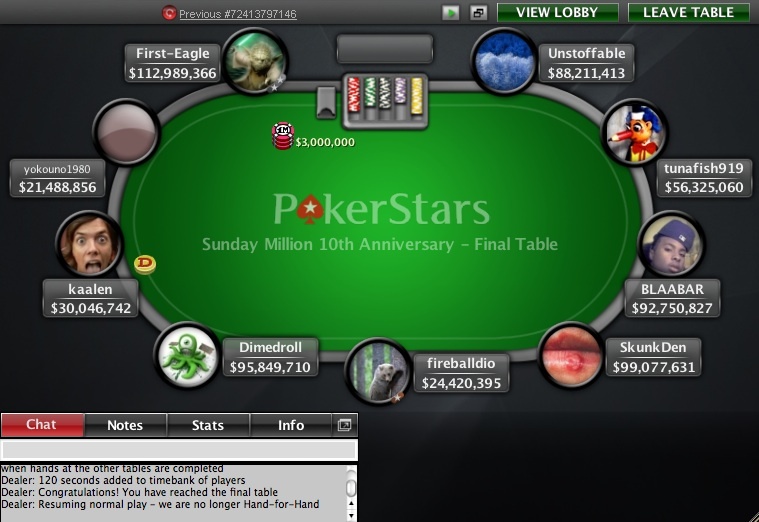 To mark the 10th anniversary of PokerStars going online, a special edition of the Sunday Million arrived with an eye-popping $10 million guarantee. All-time marks were established not just for the Sunday Million, but for all of online poker, with 62,116 players participating to build a $12,432,200 prize pool. That made it the largest online poker tournament in history, establishing records that wouldn’t be broken for nearly seven years. Of that field, 7,682 players cashed (a figure closer to the total entrants for a typical SM), and ”First-Eagle” soared to victory to claim a $1,146,574.65 first prize following a three-way chop at the final table. Subsequent Sunday Million anniversaries were marked by gradually increasing guarantees matching the year being celebrated — e.g., the 6th anniversary had a $6M guarantee, the 7th a $7M one, and so on. Thus when the 10th anniversary arrived in 2016, a $10 million guarantee helped attract a 55,059-player field that actually built an $11M prize pool. 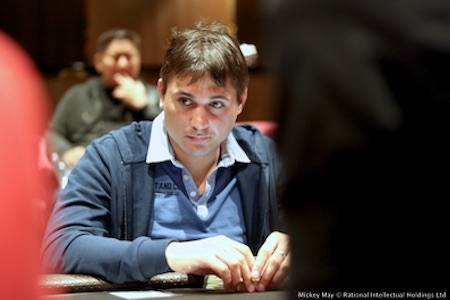 From that big crowd ”a.urli” emerged as the champion to take home $970K after a four-way chop. A year ago for the 12th anniversary PokerStars decided to “run it twice” after an initial staging of the event featured another record in the form of a big $1.2 million overlay. After Luis ”Hulk9950” Felipe topped a 43,795-entry field to win the first one, ”Daenarys T” was the best out of 56,310 to win “Take 2” for which the prize pool was more than $11.26M. Russian player Artem Vezhenkov, better known as “veeea” online, first won the Sunday Million in November 2015, then won it again to join the two-timer club in July 2017. Then near the end of 2018 he made himself a club all of his own by winning the SM a third time, a feat that he alone has accomplished. In those three tournaments, Vezhenhov bested fields totaling 16,715 players to earn three first-prizes adding up to $491,700. After nearly 13 years, the buy-in for the Sunday Million was changed from $215 to $109, a move made in order to make the tournament more accessible for players. The famous $1 million guaranteed remained, of course, and in the weeks since the fields have averaged around 12,000 entries (about twice the typical field sizes of the SM). That said, those playing the big event this Sunday should take note — the buy-in for this Sunday’s 13th Anniversary event is $215, a nod to the SM’s long tradition. 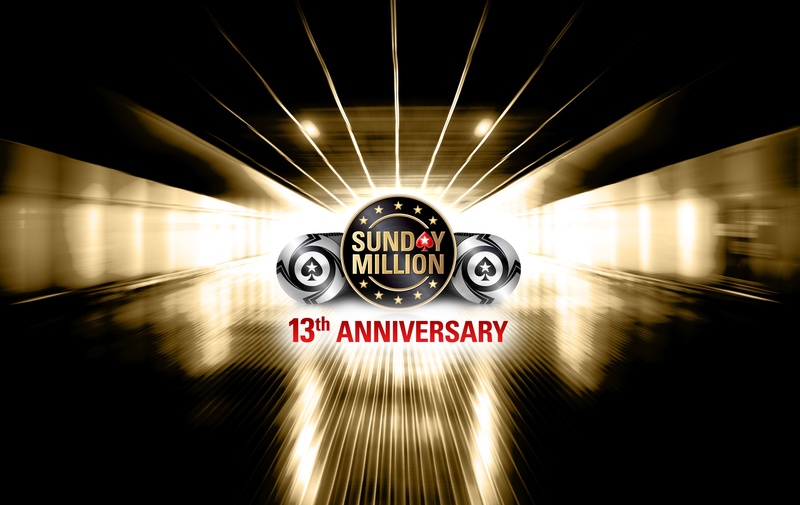 Here’s hoping anniversary #13 for the Sunday Million million proves a lucky one for you!